Paddleboard and Canoe paddlers can make their own paddles with this kit! 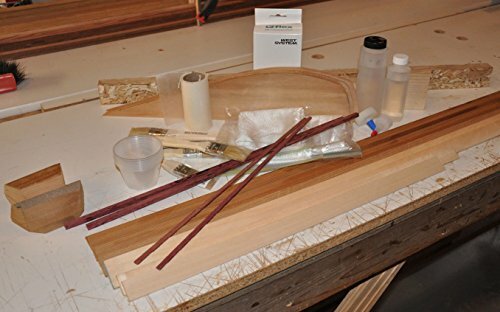 The kit contains all the pre-cut western red cedar and basswood pieces to make TWO complete bent shaft paddles. A form, the epoxy, fiberglass and all the "little" things that are needed in a project are also included. A printed instruction manual and video instructions are available. Electricity and power tools are NOT required. A DIY paddler can make the paddles with hand powered tools and hands only! Shipping to the lower 48 is included in the price. If you have any questions about this product by wavetrainSUP, contact us by completing and submitting the form below. If you are looking for a specif part number, please include it with your message.